Beaverton City Council awards $2.3 million contract for project on Southwest Menlo Drive between Allen Boulevard and Fairmount Drive; some neighbors hoped to save more. 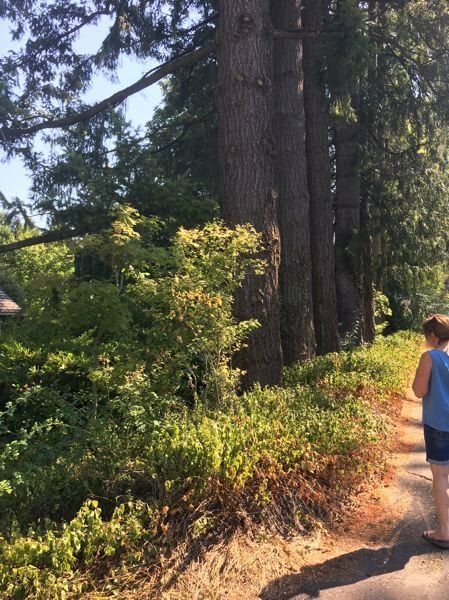 A few trees were saved on Southwest Menlo Drive, but 19 others have been cut or will come down as part of Beaverton's planned sidewalk between Allen Boulevard and Fairmount Drive. The notice to proceed takes effect Oct. 22, after the City Council awarded a $2.3 million contract to Wildish Standard Paving Co. of Eugene for the project, which is among the top 10 priorities in the city capital improvement plan. The contract was awarded as a consent-agenda item, without council discussion, on Oct. 2. The sidewalk will fill a 3,600-foot gap on Menlo Drive between Fairmount Drive — one block south of Farmington Road — and Allen Boulevard. It will be built only on the east side of Menlo Drive. The outcome was less than satisfactory to Terry Glickman, a neighbor who lives around the corner on 3rd Street and led a petition drive that drew more than 60 signatures presented to the council on Sept. 4. The city will spare a white oak, estimated at 120 years old, at the southeast corner of 3rd and Menlo. 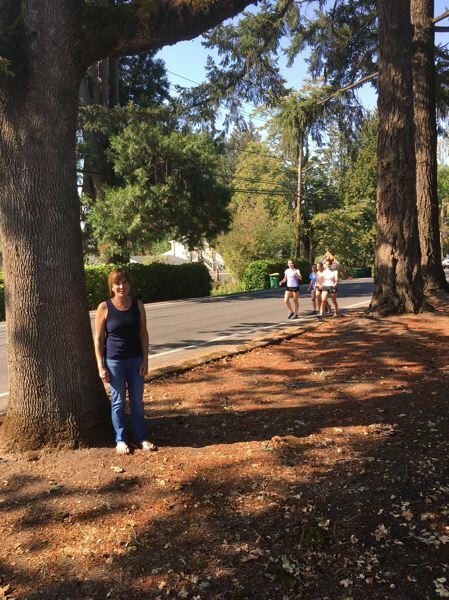 But two Douglas firs estimated at 100 years old, also sitting in front of the home of Karen Smith on Menlo Drive, are likely to go. All are within the city right of way. Both Smith and Glickman spoke up at the Sept. 4 council meeting. But Glickman said Smith decided to yield on at least one of the Douglas firs. "They convicted her (Smith) they were going to cut into its roots and it was going to fall over, and she just decided for them to take it. That is unfortunate," Glickman said after the sidewalk contract was approved. "It's just sad to me that the owner is caving. But it is her decision, and she did not put in that money toward a land use attorney." Glickman did retain a lawyer, who advised her that it would be difficult to stop the city's plans at that advanced stage. Smith was leaving her home on an extended absence. A city report said Rich's Tree Service of Fairview removed a total of 19 trees Sept. 18-19. The sidewalk project has been in the works for years. The lowest responsive bid of five submitted exceeds the city engineer's estimate, but the city will put in $1.9 million from various accounts for the project. Glickman sought a neighborhood meeting as a follow-up to an April 2017 gathering to involve all residents, not just those whose properties were on the east side of Menlo Drive. She failed to get a meeting, only a 10-minute phone conversation with Mayor Denny Doyle. The project apparently will leave untouched up to 10 trees on the property of Scott Brown, who lives on the east side of Menlo Drive south of 3rd Street. Glickman said those trees are not in the city right of way. "They were able to get the city to say they would avoid at all costs trying to destroy the roots in the process of making the sidewalk," Glickman said.